This entry was posted on Friday, April 29th, 2011 at 9:14 am	and is filed under Artful Aging, Nutrition Therapy, Super Foods. You can follow any responses to this entry through the RSS 2.0 feed. You can leave a response, or trackback from your own site. So my hubby has always said I have more testosterone than most gals so maybe I’ll play with these foods too since I’ll be feeding to the guys. I got my youngest hooked on ostrich so maybe bison won’t be too hard either. Everything else looks great too. So about the hops, is that in gluten free beer too? Love this post as usual. Sending it on to the men I love. Thanks! You’re the perfect den mother to a bunch of boys. =) I haven’t had ostrich, but I do like a bison burger every so often. And you know I love beets. I’ll have to include those in my “girls only” post. As you can see below, Pete Bronski (brew-master/writer/enduro-guy/gf cook) piped in on the hops and gf beer. Interesting. Thanks for asking. I love learning new stuff, although I’m not a beer drinker. Might have to try this New Planet hoppy ale though. 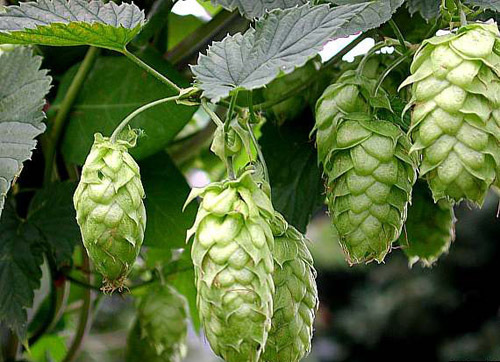 Diane – hops are used to brew pretty much all beer you drink, whether gluten-free or “traditional.” In addition to the health benefits Melissa writes about, they impart bittering and preservative qualities to a beer, not to mention fruit and floral aromas and flavors (depending on the variety of hop). New Planet just came out with a very hoppy ale that’s gluten-free. I appreciate your comments. Hope all is well in NY. It’s still snowing out here in the west. We’re supposed to get snow in Denver tomorrow. The skiing is still amazing (although I’m pretty much over it right now). My best to you and your girls! P.S. Pass me a cupcake and we’ll talk about men. Hmmm, hubby doesn’t eat too many of these. Son eats more of them. In fact, he just squeezed some extra bucks out of me the other day by telling me he was in line at the grocery store buying kale and olive oil. He really was buying them at the time, but he knows I’d be less likely to cough up the bucks if he was buying something like gummi bears. Seriously, he’s eating really well these days and I’m proud of him. Thanks for this post, Melissa. I agree with everyone else … you always convey this essential info in such a fun way! It’s awesome when you can get young guys (those 20-something men) to eat green leafy things! You’ve obviously been a good influence. And thanks so much for the kind words. I think it’s important to make dorky science talk fun and humorous. Stay tuned for part 2. Nutrition for us girls! I’ll throw in more scientific differences between the sexes. It’s those differences that make life interesting! You mention above that you enjoy beets in a variety of ways 4-5 times a week. I love beets and get them often at the farmer’s market, but I basically roast and toss in various types of salads. Might you create a post some day (soon) on the variety of ways that you use beets? I’d be very interested in reading and learning. I use beets raw and shredded in salads, blended raw in smoothies, sliced thinly and put on pizzas with the greens as well, roasted and made into soup, shredded and sauteed into a rice bowl. I’ve even made beet ice cream! I love beets. I’m the only female in this house with a husband and three sons, so this is good to know. My husband will love you for the hops one, but the rest not so much. They’re all okay with bison, but they’ve only had it at restaurants. I’ll have to buys some now. Pumpkin seeds we eat in the fall, but kale it one they definitely don’t like. Anyway, stopping by from Shirley’s. Thanks for the great information. Thanks for stopping by via Shirley’s blog. I appreciate it. Three sons! Yikes. I have 2 sons (and 2 daughters). I had to throw the hops one in. It just fit too perfectly. Love this Melissa and will be sharing it as I always write for women! Love that you mention sardines and pumpkin seeds! What are your thoughts on gluten-free beer? Hi Trudy! I don’t drink beer, so I’m not a good one to ask, but my son drinks Omission beer and says it’s great. He doesn’t have celiac, but does have 2 copies of the gene, so he’s doing low-to-no gluten.